The comics will be written by series Executive Producers and head writers Kevin Burke & Chris “Doc” Wyatt with art by Nikos Koutsis (Savage Dragon). Cover art will be provided by Aluir Amancio (Superman Adventures) and Koutsis. Burke & Wyatt developed STRETCH ARMSTRONG for television in collaboration with fellow Executive Producer, Victor Cook. "We're so excited to bring STRETCH ARMSTRONG into comics with IDW," says Burke. "Our teen superhero TV series is very much influenced by classic comics, so Stretch Armstrong and the Flex Fighters having their own monthly print adventures feels like a perfect fit." "We're carefully designing the STRETCH ARMSTRONG comic book stories to work as 'stand alones' for people who haven't seen the Netflix series yet, but to also reward viewers of the show with more depth on their favorite characters," says Wyatt. "We're having a blast writing these issues." The forthcoming comic book series will take place during the events of this fall’s debut season of the Stretch Armstrong and the Flex Fighters animated series. Fans who pick up the comic series will get an early glimpse at a new villain introduced in the comics before making its broadcast debut, laying the groundwork for more adventures to come! 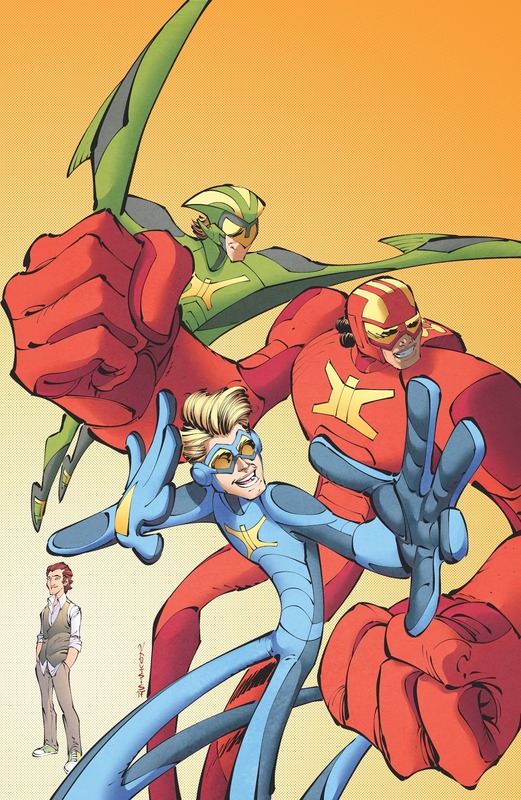 It wouldn’t be a stretch to say Stretch Armstrong and the Flex Fighters #1 will be available in print and digital January 2018.